Genre: Horror, Mystery/ Suspense, Thriller Runtime: 1 hr. 23 min. 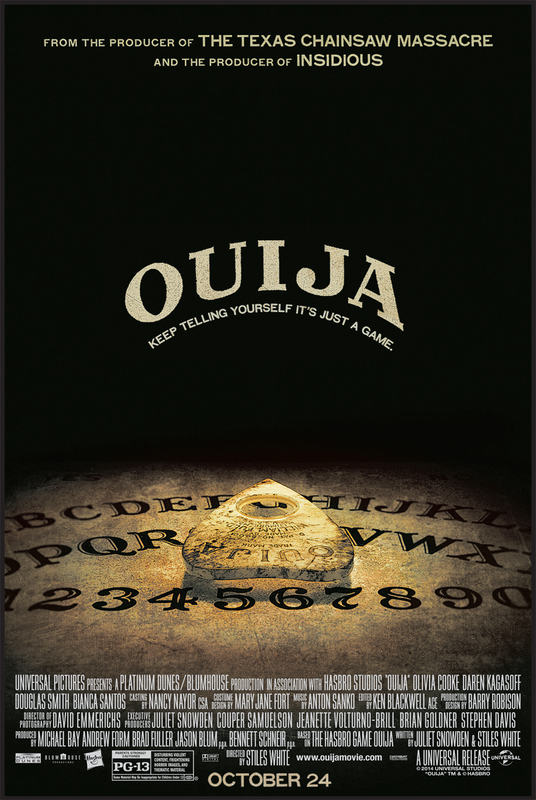 The film follows a group of friends attempting to make contact with a recently deceased friend named Debbie, through an Ouija board. While trying to communicate they have awakened a dark and chilling presence. In the midst of trying to make contact with Debbie, their connection to an evil spirit has caused several of the teens to be killed. I must say that I was highly disappointed by the film. The premise of the movie actually set the stage for a film that started off with a lot of potential. The mere thought of a man-made device that can aid in communication with the “other side”, coupled with the superstitions that many have surrounding the ominous Ouija Board is a topic that currently creeps may viewers out. Some of the death/ kill scenes where weak and reminded me of something from the early 90s. The pace of the movie slowed dramatically after the introduction of the board and the initial backdrop were set. I find it odd that the main character, Lane, is so broken up by the death of her best friend Debbie, that she is almost indifferent to the deaths of those around her while seeking answers. The scariest parts of the movie are in the official Universal Pictures Trailer, and while it might be great for preteens/teens or those who scare easily; In my Personal opinion, save your money and wait till it comes out on TV or DVD.